Eligible golfers who complete a hole-in-one during the course of their round at Forest Creek Golf Club in Round Rock, TX (Oct. 2018-December 2019) will win a luxury vacation compliments of Vidanta Golf and SQN Escapes. 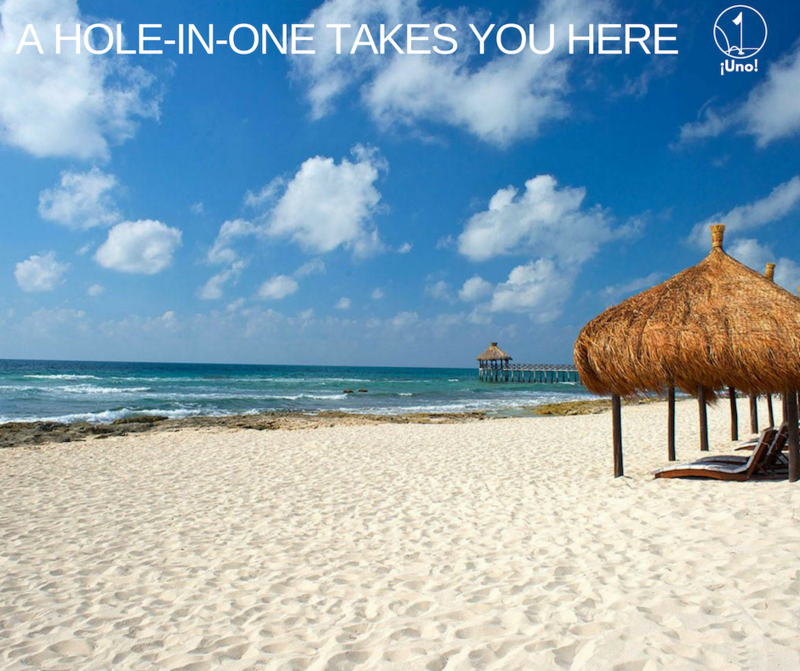 • A trip for two (2) for a (5) day & and four (4) night complimentary stay for 2 guests in a Master Room at The Grand Mayan and Vidanta Nueveo Vallarta, Vidanta Puerto Penasco or Vidanta Riviera Maya (exclusive of airfare and transportation). The winner will be responsible for all meals, travel expenses to and from the resort (including without limitation, round trip airfare and transfers). Not valid for group events unless UNO prize package is purchased through the golf shop. • This promotion is brought to you by KemperClub, Vidanta Golf and SQN Escapes. ¡Uno! Promotion (the “Contest”) is open only to those who purchase and play a round of golf at Forest Creek Golf Club in Round Rock, TX and is managed by KemperSports on the date of such round (each a “Facility”) and who are age 21 or older as of such round. The Contest is only open to legal residents of the United States and is void where prohibited by law. Employees of Sponsor, their respective affiliates, subsidiaries, advertising and promotion agencies, suppliers and their immediate family members and/or those living in the same household of each are not eligible to participate in the Contest. The Contest is subject to all applicable federal, state and local laws and regulations. Void where prohibited. 1. Golfer who completes a hole-in-one during their round must bring their scorecard to the General Manager or PGA Professional with a witness (any player in his/her group) after their round. 2. Golfer and witness sign and attest the scorecard and hole-in-one. 3. Golfer must fill out the registration form. Available from the golf shop. 4. General Manager or PGA professional awards the redemption certificate. 5. General Manager or PGA professional must take picture of the golfer. 6. General Manager or PGA professional sends the registration form to KemperSports central marketing. Vidanta Golf & SQN Escapes: Vidanta Golf is the leading golf course developer in Mexico. From the stunning ocean setting of Puerto Peñasco to the lush jungle of Nuevo Vallarta, Vidanta Golf courses offer players an incredible variety of geographical beauty and technical difficulty. SQN Escapes is their travel agency/provider.